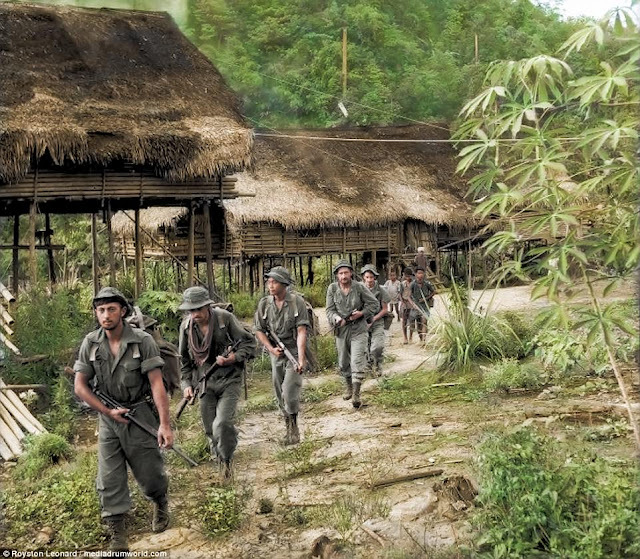 This year marks the 70th anniversary of the Emergency, a 12-year war declared by the then British colonial power against the insurgent anti-colonial forces led by the Communist Party of Malaya. It is not a well-publicised fact that the Central Committee of the CPM launched the armed struggle only in December 1948, six months after the declaration of State of Emergency by the British colonial government in June. Surprisingly, there has been no commemoration of this anti-colonial struggle by the Government or our local universities, leaving it to civil society to remind the country of this fateful turn of our peoples’ history. It is hoped that in the “new” Malaysia, Malaysian historical facts can be set in perspective so that the new generation understands the class forces that were arraigned during the anti-colonial struggle, know who the real anti-colonial fighters were and the structure of the Merdeka Agreement that was in keeping with British colonial strategy. Who were the patriots who fought to liberate the country from the British colonial power and the Japanese fascists during WWII and who were the pretenders? Which parties stood for genuine and inclusive multi-ethnicity? How would the nation have developed if the “People’s Constitution” of the AMCJA-PUTERA coalition had been adopted? What is the so-called “Social Contract” we have today and was it the same at Independence? How did the pattern of communalist politics that has plagued Malaysia for so long come about? The most complete record yet compiled on the Emergency (1948-60) was written by British academic Anthony Short, commissioned by the Malayan Government and given full access to confidential and secret papers. When his finished manuscript was handed over in October 1968, Short had to wait three years before being told that it was not to be published! Nevertheless, his work “The Communist Insurrection in Malaya, 1948-60” was eventually published in 1975 while Short was senior lecturer at Aberdeen University. For many years, this book was banned in Malaysia. Isn’t it time we had an official explanation of why Anthony Short’s commissioned history of the Emergency was rejected by the government? On this 70th anniversary of the Emergency, is it not time for Malaysians to read Short’s book and for the 70-year secret documents to be declassified for the benefit of scholars and other Malaysians? Isn’t it time the country properly acknowledges the contributions of the patriotic class forces in all the ethnic communities to Independence and nation building? Who were the main opponents of the British colonial power and who put up a protracted struggle to end the exploitation of the country’s natural and human resources while forging a truly multi-ethnic peoples’ united front? The Umno leadership after the Second World War represented the interests of the Malay aristocracy. They were by no means anti-colonial and did not challenge British interests. The workers’ movement was the main threat to colonial interests and the Federation of Malaya proposals culminating in the Merdeka Agreement were intended to deflect the working-class revolt by introducing communalism in the Independence package. Any history textbook on the Emergency has to include the history of Malayan workers’ struggles that has been so well written by M.R. Stenson. The Emergency was as much a crackdown on the workers’ movement as it was a war against the anti-colonial insurrection. The subsequent “Alliance Formula” comprising the Malay aristocratic class and non-Malay capitalist class was designed to deal with the workers’ revolt and put in place a neo-colonial solution. Thus, the ‘Alliance (racial) Formula’ with all its contradictions was devised in Independent Malaya. The so-called “Social Contract” would have looked very different if the “Peoples’ Constitution” of the AMCJA-PUTERA coalition representing the workers, peasantry and disenchanted middle class had won the day. The Malay Nationalist Party (MNP) called for, among other things: the right to self-determination of the Malayan people; equal rights for all ethnic communities; freedom of speech, press, meeting, religion; improving standard of living of all the people; improving farming conditions and abolishing land tax; improving labour conditions; education reform on democratic lines; fostering friendly inter-ethnic relations. The anti-colonial movement demanded self-government and their AMCJA-PUTERA coalition put forward their “Peoples’ Constitutional Proposals”. Imagine what our nation would have become had this “People’s Constitution” been the federal constitution at Independence. This coalition encapsulated a more genuine multi-ethnic approach compared to the “communal formula” of the Alliance that was made up of racially-based parties and fraught with contradictions from the start. The component parties in the Alliance (now the Barisan Nasional) were unashamedly racial and have been dominated by Umno from the start. The Prime Minister in the “new” Malaysia does not see the incongruence in heading a racially defined “Parti Pribumi”. These race-based parties would find it difficult to justify themselves if there was an Equality Act or if Malaysia ratified the International Convention on the Eradication of Racial Discrimination. The Malayan workers’ movement and radical intelligentsia in the anti-colonial coalition of AMCJA-PUTERA displayed strong organisation, solidarity and inter-ethnic unity and this history is a source of inspiration and a model of genuine multi-ethnic cooperation for Malaysians today. Through this struggle, they developed an awareness of nationalism and anti-imperialism and the socialist road to egalitarian development. The British colonial power used its communalist strategy to divide this anti-colonial movement using the issue of citizenship for the Non-Malays and reneging on the promises of civil equality for all. What would it have been like if all Malayans had been granted genuine civil liberties and political equality? The anti-colonial movement was defeated largely because the Malay peasantry had been isolated from the movement, buffered from capitalist exploitation in the estates, factories and other urban industries. The colonial state did not hesitate to use crude racial and religious propaganda against the movement. If Malaysia is to have a viable future and a new agenda for change involving all Malaysians, we must demand a fair, socially just, equal and democratic country that respects human rights and breaks through to a people-centred non-racial agenda for change. And when we do, imagine how much we will be able to celebrate at the 100-year anniversary of the Malayan Emergency? Kua Kia Soong is adviser to Suaram. Work Place Bullying | What can you do? Currently, a friend is being harassed at work with the Head of Department and Directors unable to do anything about it even though they know it is clear cut bullying. That's the purpose for this post, what can you do to resolve this issue? What most of us do not realise is the fact that there are various forms of harassments that we should start taking note of. Unfortunately, as far as Malaysian laws are concerned, the authorities only pay attention to sexual misconduct under the Employment Act. Other forms of aggressions have lesser attention in the eyes of the local legal system, but there are several existing laws that can be leveraged upon if the cases are serious. Some scenarios are easy enough to be handled on your own. For example, if your colleague is always standing too close to you or are all touchy-feely, you can move away or make it very clear to them that you need your personal space through your body language. Sometimes, confronting a co-worker if he or she is being a nuisance just once, will put an end to their antics. But if the matter persists, always seek your supervisor’s advice first. If that doesn’t help, approach your management. When those two don’t work, then move out to seek professional or legal help. This is because, most of the time harassment issues are isolated and can be resolved within the organisation. 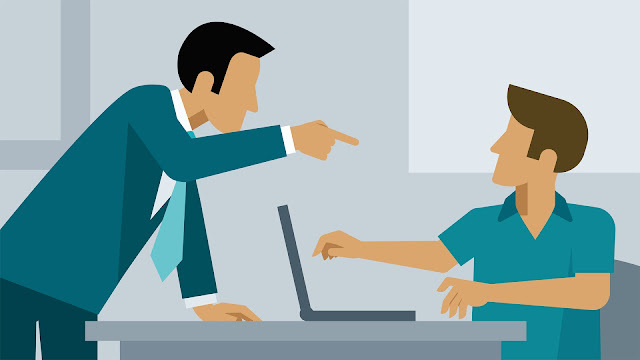 Let’s take a look at the different forms of workplace nuisance that fall under the category of harassment. This is undoubtedly the most common form of harassment discussed. Sexual harassment can be anything demeaning, offensive, suggestive or lewd to the opposite gender. Most cases in Malaysia involve female victims, but male victims are not unheard of. Sexual harassment can take the form of verbal, non-verbal, psychological and physical. It can vary from jokes and jesting, to inappropriate touching or sharing of images on the surface level. Action can be taken against organisations that fail to act on complaints of sexual harassment from employees. According to section 81F of the Employment Act 1955, an employer who fails to inquire into complaints of sexual harassment; inform the complainant of the refusal and reasons behind it; or, submit a report of the inquiry, can be fined up to RM10,000. E-mails and phone calls that can be considered a threat, disturbing behaviour that disrupts the working process, and unnecessary pressuring of workers or co-workers that are serious to cause extreme physical, mental or emotional discomfort, can be considered as a form of harassment. Keep a clear note of the five Ws and one H (who, what, when, where, why and how) because the last thing you want your management to do is to view your case as a non-threat. This term refers to acts of calling names, spreading rumours, damaging of personal properties, harmful or violent physical contact like fights, slapping and punching or non-sexual physical or verbal abuse. Cyberbullying among colleagues, serious temper tantrums and unfair treatment by the supervisor, abuse of authority, open humiliation, and coercion to perform a task, can fall under the category of bullying. In the United States, UK, Canada and other countries, action can be taken against co-workers or employers who resort to such acts. Unfortunately, there is no legislation governing this portion of workplace harassment in Malaysia, but there are possibilities of victims taking action under the Defamation Act 1957. They can also file a report for constructive dismissal and compensation with the Industrial Court if there are relevant and sufficient proof to convict the harasser. Exhibition of hostile behaviors centred on one’s beliefs, religion, skin colour, sexual orientation and disabilities, can also be demotivating and demeaning. Worse, it could result in extreme tension and unhealthy work environment. Again, countries like the United States and Canada would not hesitate to act against co-workers or employers who discriminate based on these sentiments or social values. There are no particular laws here in Malaysia to address such issues, but avenues that can be considered under the Penal Code include intimidation if the matter becomes a criminal case. Other labour laws which include unfair discrimination can also be considered. Gender discrimination does carry some weight and is viewed more seriously as gender equality is a constitutional right. Gone are the days where this scenario only applies to women. Be bold and file a complaint or make that meeting with your human resources (HR) personnel happen if you are facing any form of harassment. Don’t underestimate your ability to change things, even if you are alone in your journey. Follow up with your HR department if the matter is being investigated or if action will be taken. Suppose your HR department fails to provide you a satisfactory answer—after numerous attempts—have the courage to seek legal advice or make a police report if the matter is serious. The last thing you want to do is remain quiet about such issues like sexual harassment and bullying. By speaking to trustworthy colleagues, you are not only helping to address the matter, but may open up a can of worms which is a good thing in this situation. For all you know, you may have helped other people in the process. You could also speak to your supervisor (if he or she isn’t directly involved) to rally some support or deliberate on ideas to tackle less threatening issues like emotional blackmailing or disruptive behaviours. Read up. Have basic knowledge on labour, employment and management laws. It will help you determine your next course of action if you or your colleagues are affected. Knowing your rights is always a good thing even if your workplace is devoid of harassment issues. This could backfire on you. Apart from it breaching the code of ethics or your employment contract (when you share internal issues that could possibly compromise your company’s credentials), you are also opening up possibilities of lawsuits if the matter becomes public. No doubt you will garner support from family and friends but professionally, it may do more harm than good. Management should take this avenue seriously. Most employees, particularly those who are modest or reserved, will find it extremely difficult to share their situations openly. Most workers may think that the management will always take the side of other management staff (in harassment scenarios that involve higher management personnel) and would be apprehensive in filing a complaint. It is therefore important for management and HR divisions to be as welcoming as possible or let the employees know that they can be easily approached for personal discussions. Yes, it takes time and effort, but it helps maintain a healthy environment when management takes action against complaints of harassment of any form. This also maintains the trust of your employees. Harassed victims need to feel protected and they can only rely on management to back them up if they are victimised in any situation. Management should let employees know that they can seek your advice and that their identities will be protected. It’s not easy to work in an environment where the “harasser” and the “harassed” meet eye-to-eye all the time. Being transparent about such processes can help ease any form of hostility and maintain workplace harmony. Every organisation generally has ethics and rules for various employment aspects in place. Remind everyone from time to time about these guidelines and let them know that you do view harassment cases, whether sexual or otherwise, seriously and will not hesitate to take action, amounting to dismissal or other forms of legal address. This may sound like an additional cost but it may be necessary from time to time. If issues of harassment get out of control, your workers can suffer from psychological and emotional distress. If these issues are not addressed professionally, it can affect productivity and the employees’ mental health. In addition, having a counsellor can help address problems especially if the nature of your business is highly stressful. 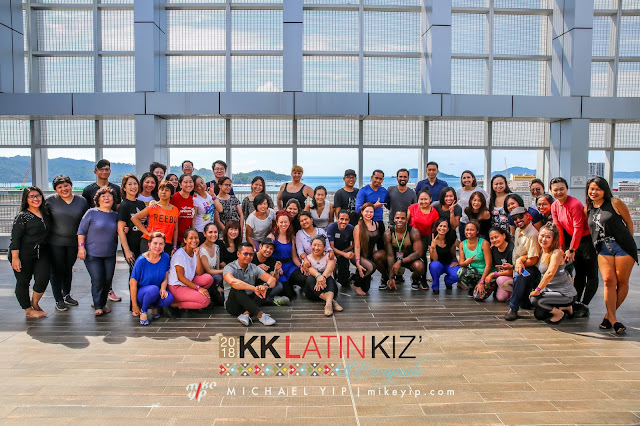 The KK Latin Kiz' Escapade 2018 was held over the last weekend of June in the heart of Kota Kinabalu with an amazing turn-out despite being a small event (if compared to the bigger festivals around Kuala Lumpur). Amazing atmosphere with a fantastic organizing team that is on top of everything. Taking care of us from the time we touched down til us leaving. Here's the photos from the 3 amazing nights of dancing and 2 days of fantastic workshops. That's all the collection for this festival, looking forward to the next festival to bring more wonderful visuals to all. If you would like to engage my service for your upcoming event, do drop me a message and we can discuss further from there.